Senator Kamala Harris has come out of the 2020 gate in the wrong lane. She seems clueless while giving dishonor where honor is due by using the birthday of MLK to announce her candidacy. If the senator understood what my uncle actually stood for, she would know that he was a prophet and not a politician. As a civil rights activist from the 20th Century, bearing a mantle of the King family legacy of fighting for freedom and justice, I understand the importance of acknowledging the spirituality of MLK. You don’t do that by attempting to turn his 90th birthday anniversary into a political circus. MLK understood that the fight for justice involves more than just challenging systems of oppression. The battle requires caring for the poor, the needy, the sick, the elderly, and others who cannot care for themselves — especially babies, including those who are still in the womb. Meanwhile, the senator’s not-so-clever and overtly obvious attempt to align her announcement with the MLK birthday holiday seems a clumsy attempt to create the impression of a posthumous political nod from the civil rights icon in her favor. Martin Luther King, Jr. devoted his life to uplifting the African American community, a mission that I and countless others have worked hard to carry on in his absence. We’ve broken down some barriers, but many others still remain. Our efforts should not be buried in political ploys such as this. One of the greatest barriers that we still face, as I’ve seen firsthand, is the crime against humanity that is abortion. Black women are significantly more likely to undergo an abortion than are women from any other racial demographic, resulting in the deaths of an estimated 19 million black babies since Roe v. Wade. As a repentant and redeemed post abortive African American mother, I understand the pain that candidates such as Kamala Harris choose to ignore. Abortion has had a devastating impact on African American communities in personal, emotional, and economic terms. Yet Kamala Harris, who supports America’s largest abortion provider, wants to make abortion even more widespread. 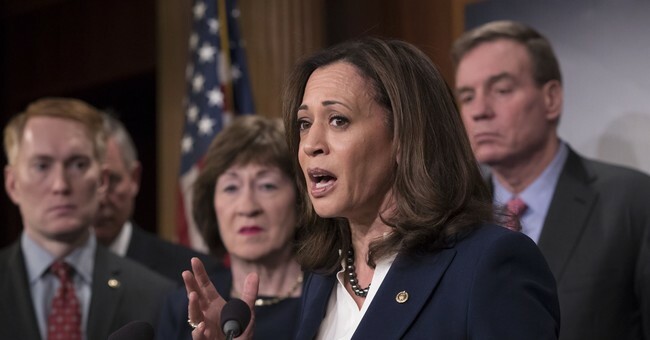 As a pro-abortion extremist, Senator Harris supports radical policies such as public funding for abortions, and opposes the requirement that abortion providers notify parents when minors seek abortion services. She even has a 100 percent rating from one of the nation’s leading pro-abortion organizations. It’s not just African Americans who are threatened by the abortion-on-demand policies Harris supports, though. As a society, we must care for men, women, and children — regardless of ethnicity. God made us all human, creating us equally of the same blood, and we are all hurt by the crime of abortion in different ways. Unlike Kamala Harris, President Trump has been a consistent defender of unborn lives and is a leader who clearly recognizes and values the sanctity of human life. In fact, Donald Trump’s concern for the well-being of all Americans has done more to uplift the African American community than government assistance and repressive economic and cultural policies ever did. In just two years, the President has passed the most significant criminal justice reform in decades, expanded religious freedom for people of all communities, and brought jobs back to every corner of the country — resulting in the lowest rate of black unemployment ever recorded. Sadly, Kamala Harris wants to bring an end to the progress African Americans have been making under President Trump, and instead promote policies that will lead to the slaughter of even more black children. Don’t be fooled when she tries to align MLK with her pro death agenda. He didn’t even accept Planned Parenthood’s Sanger Award. His wife did. As she begins her race for president, we should all beware of the policies candidates like Kamala Harris promote to limit the economic empowerment of African Americans and their chance at life itself. That’s exactly the opposite of everything Dr. Martin Luther King, Jr. spent his life trying to achieve. The public has a right to see beyond Ms. Harris’ smokescreen.